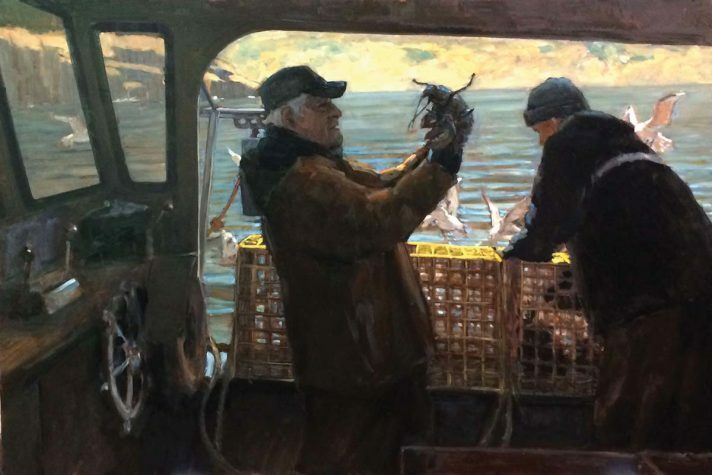 Maine Maritime Museum’s exhibition Over East, an Artist’s Journal: Paintings by Robert Beck of the Contemporary Maritime Community is a collection of more than 40 paintings depicting the working life and landscape of downeast Maine communities. 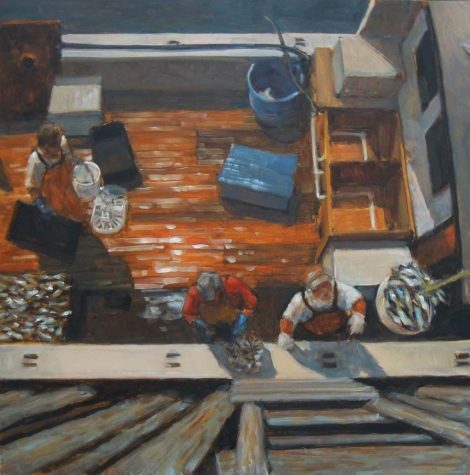 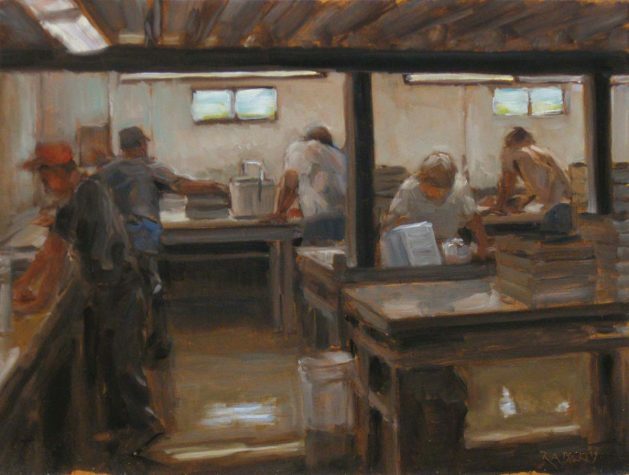 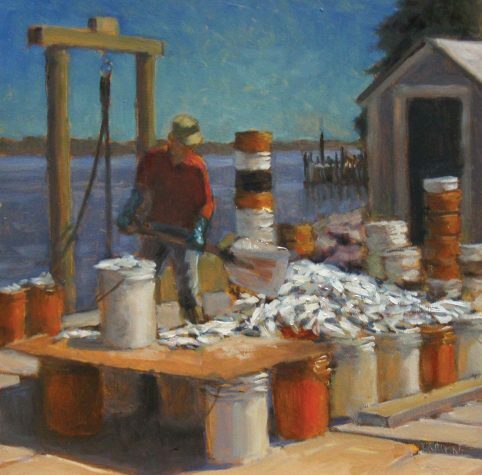 Pennsylvania artist Robert Beck returns to Maine each year to paint from life in the fishing and boatbuilding communities of the coast, particularly Jonesport. 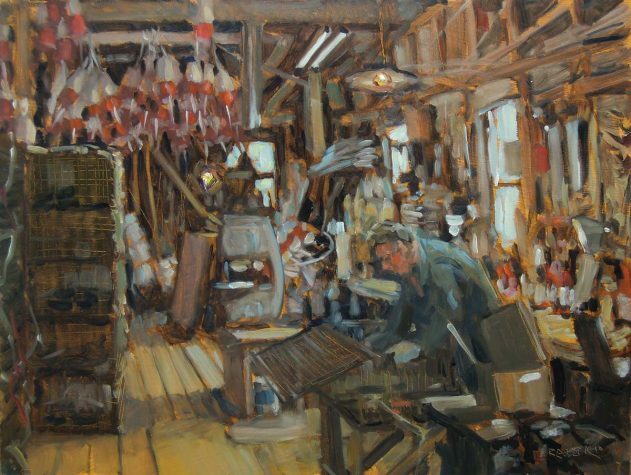 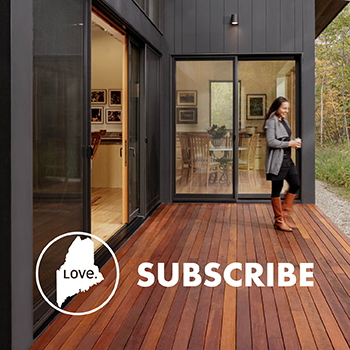 Drawn by the aroma of wood in a boatbuilder’s shop, the activity on a lobster wharf, the ghosts in a spar shed, or the easy conversation of a group of women picking crab, Beck has produced a large body of work he considers closest to his heart. 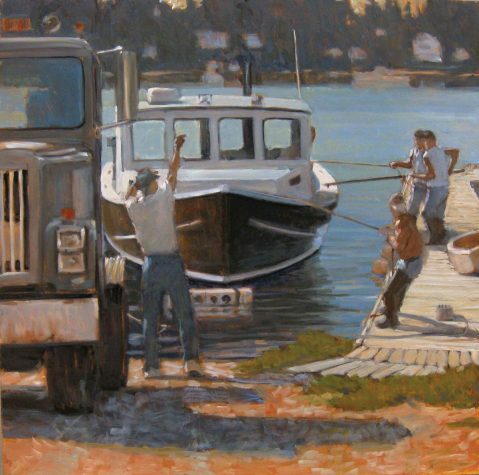 In Over East, these images of working life in Maine coastal towns are on exhibit together for the first time, forming a “visual essay” about today’s maritime community. 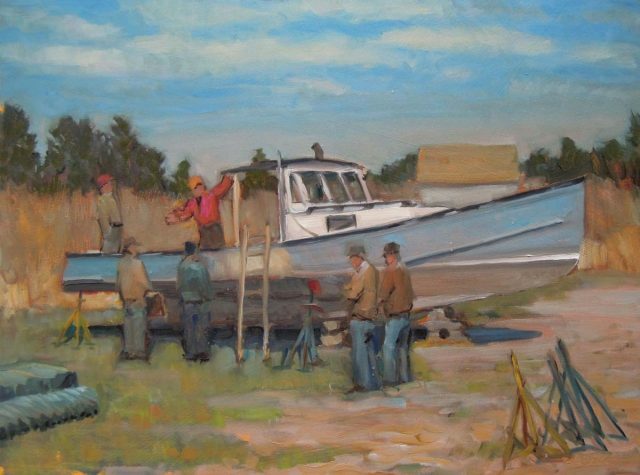 Over East is sponsored by Jean Wilson and John Roberts, Bill and Mary Earl Rogers, Joan and Russell Smith, and the Wright Family Trust. 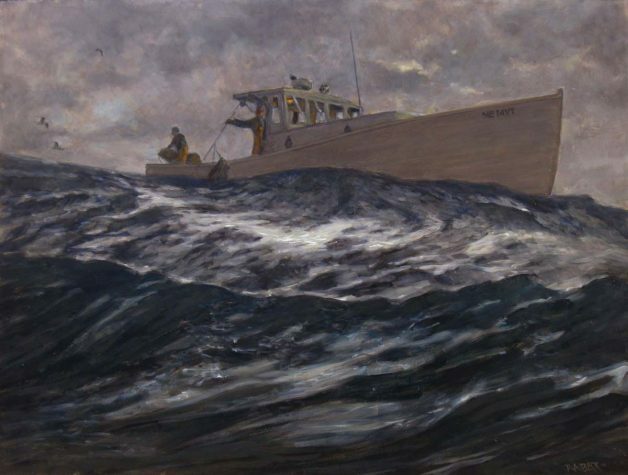 On the following pages, MH+D presents a look at the exhibition, which ends later this month.